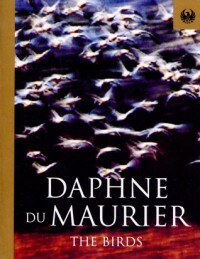 So... my eldest son tells me he's on the last page of his homework assignment tonight... he's reading The Birds by Daphne du Maurier! Since she is the best suspense writer of all time, in my opinion, I tell him to please hand over the book when he's done so I can finally read this tale. And that is exactly how I spent the last hour. Thank you goes out to his English teacher for exposing these students to what truly great story-writing looks like.